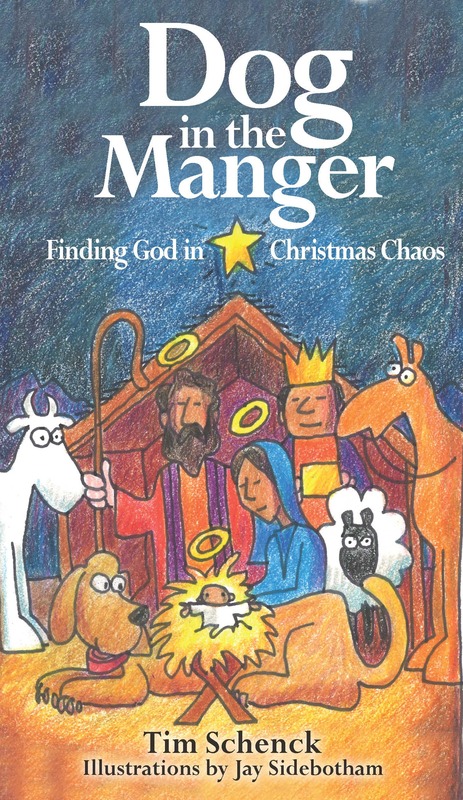 While I've been waiting to sell the movie rights to my new book Dog in the Manger: Finding God in Christmas Chaos, neither Stephen Spielberg nor Oliver Stone has called. Nonetheless, I'm delighted that the book has inspired my friend (and Lent Madness Celebrity Blogger) Laurie Brock to write a Christmas pageant. What I love about her approach to the pageant is that it is truly Incarnational -- God is right in the thick of things. And this really gets to the heart of what I was trying to do with the book. Our faith lives are not neat and tidy but messy -- true relationship always is. Yet even in the midst of the chaos and muck of the stable, God's light shines brightly forth. The Light of Christ pierces the darkness of our hearts and touches us in surprising and unexpected ways. Sometimes this even leads to a dog in the manger. So, if you happen to be in Lexington, Kentucky, on Christmas Eve, I exhort you (a word that's stronger than "encourage" but weaker than "compel") to go check out the world premier of The Dog in the Manger pageant at St. Michael's. And if you're desperate for a new pageant script have at it (with proper attribution to Laurie and buying an armload of books, of course). A Christmas Pageant for St. Michael the Archangel in Lexington, Kentucky, but free to use (with credit) in any parish where a sense of humor and a sense of holy are appreciated and honored. Shepherds and Sheep, traditionally costumed, but only a few. We don’t want to get crazy here. The scene opens with everyone in costume, milling around, doing their own thing. In other words, a typical Christmas Pageant rehearsal. Tom comes in, frantic and excited. Tom Places, everyone! Places! We have one more rehearsal before the big night. Remember, you are the sermon. You are telling everyone the message of Christmas. It’s all on your shoulders. Let’s get our Christmas on! Tom Okay. Let’s do the whole Annunciation bit. Mary, Gabriel. You’re on. Joseph wanders on stage, alone, texting, for no real reason. Gabriel is off to the side, looking very bored. Gabriel shuffles out to the middle of the stage area as the Narrator reads. As Aurora reads, several Marys come out, all giggling and twirling in their Mary-ness. Tom Cut! Joseph, why are you here? Gabriel! Where’s the emotion! You’re telling Mary she’s going to have a baby! Angel That’s what I said. Angel No. I’m (name of young person). And my parents are making me do this. Joseph Yours too? And why doesn’t the angel visit Joseph? Angel He does, in the Gospel of Matthew. Joseph So why don’t we put that in the play? Joseph never gets to be the star. Always a bridesmaid, never the bride. Tom Shaking head. And WHY are there so many Marys? Lynne Well, they all wanted to be Mary, so we really couldn’t say no. Tom Okay, We’ll work on this later. Let’s move on to the next scene. Places! Aurora In those days a decree went out from Emperor Augustus that all the world should be registered. This was the first registration and was taken while Quirinius was governor of Syria. All went to their own towns to be registered. Joseph also went from the town of Nazareth in Galilee to Judea, to the city of David called Bethlehem, because he was descended from the house and family of David. He went to be registered with Mary, to whom he was engaged and who was expecting a child. While they were there, the time came for her to deliver her child. And she gave birth to her firstborn son and wrapped him in bands of cloth, and laid him in a manger, because there was no place for them in the inn. And nothing happens – there’s a long silence. Tom Where are the shepherds? Lynne Oh, sorry. Shepherds! Sheep! Ninjas! And an odd assortment of kids wanders into the church as the Narrator reads. They are dressed in all sorts of costumes. They take their places around the Marys and Joseph and the dog in the manger holding Baby Jesus. Tom CUT! Why are there ninja shepherds and (whatever other characters are present)? Lynne We ran out of sheep costumes. Besides, ninjas might have been at the nativity. Tom The nativity ninja? And why is Baby Jesus in the manger with a dog? Have you all gone crazy? 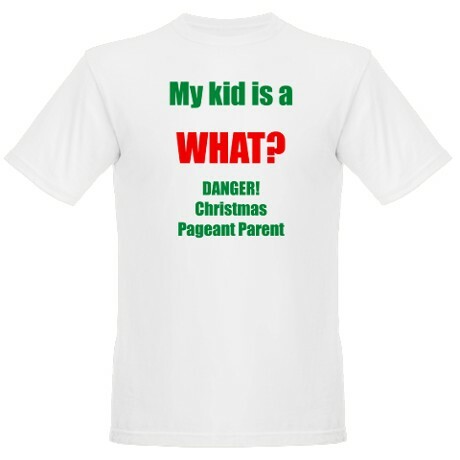 This is a Christmas Pageant! It’s the retelling of the Christmas Story, with sheep and ONE Mary and a happy angel and Joseph, who just gets lost on the way to Bethlehem and doesn’t make hotel reservations. It’s supposed to be pretty and perfect and sweet so parents can take adorable pictures! That is the message of Christmas! Narrator Actually, it’s not. Christmas is about messy and surprising and unexpected. God was born in a stable, where a dog probably did sleep in the manger and cows ate their dinner and where a young, scared couple gave birth to their firstborn child, baby Jesus. Nothing perfect about that. And those who came to see him were the ones hanging out that night – shepherds, ninjas, outcasts – whoever heard the angels’ invitation and felt joy at being invited. And in the face of baby Jesus, they saw what love looks like. Love looks like a teenager texting, an angel in a bad mood, and children having fun being in weird costumes. Love looks like our homeless brothers and sisters and those people we call “enemy.” Love looks like our family and friends, even those who, on this night, we miss because they are with God. Love looks courageous and messy and unusual and simple. Love looks like all of us here tonight. The message of Christmas is pretty simple – long ago, on that night, love came down to be with all of us in Jesus. Love…Love came down at Christmas. All stand silent for a bit. Lynne You know, if this were the Charlie Brown Christmas Special, we’d have a song now. Tom (or a choir member or the choir) sings first verse of Love Came Down at Christmas, congregation is invited to join in on vv 2-3. Ad lib. Clearly, perfection is not the key here. And let the dog bark at odd times. It adds to the chaos. Don’t try too hard with the costumes, especially with the teenagers. Except the Marys. They really can’t be too over the top. The Dog in the Manger, ©The Rev. Laurie M. Brock, 2013 and inspired by The Rev. Tim Schenck and other various clergy who appreciate the beautiful blend of holy and hilarious. Isn't it time for a new twist on the Christmas Eve this g?